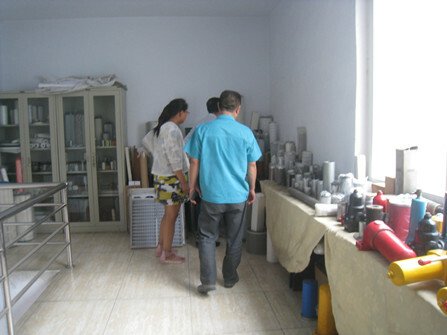 On Wednesday, the customer from Taiwan China came to our factory to inspect the filter coalescer. 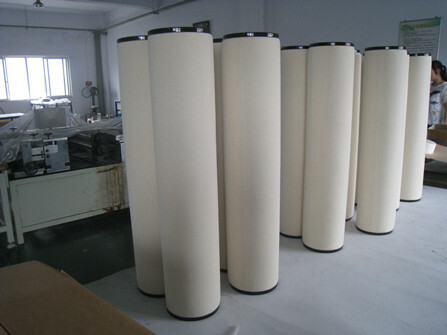 Filter Coalescer is processed by a special process by a variety of composite materials with hydrophilic characteristics, it can not only filter out mechanical impurities in the media, but also by coalescence, so from the media in the the emulsified state's water separated, and the larger droplets coalesce to facilitate the further purification of the medium. And it is usually used in Cooling or condensation,flashing or evaporation Some examples of applications are separating liquid, such as water or oil from: compressed refrigeration gases, evaporator overhead steam, compressed air prior to desiccant dryer beds, high pressure gas at injection wells, fuel gas lines to engines in power and industrial plants,natural gas and gas distribution lines or regulator stations.